Exciting news Ray. Dare I ask if it's going to be new releases, re-releases or a mixture? I hear Lush-Romantic Strings wants to know if it'll be available for download. Along with 69 bazillion other titles, all of which will be upped to page one. Great news Ray, thanks for letting us know in advance! Whatever it is I'll be purchasing it. 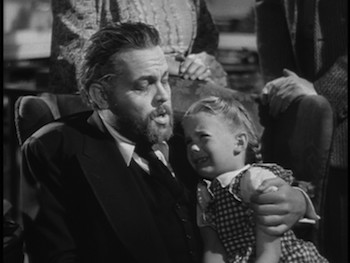 But if it was So Big(1953) I'd be delighted, wonderful film, great score by Max!!! Any new Max Steiner is most welcome. I especially would love to have THE HANGING TREE and whatever there is available for SPENCER'S MOUNTAIN. PFK, where are you ? Your "main man" is almost ready to appear on CD again. Terrific ! THE CAINE MUTINY recently and now another Max Steiner waiting in the wings. These are great times ! Things keep on "picking up" eh Cody!!! Looking forward to it, Ray! Culee, Culay! O frabjous day! Could be the long-awaited TOMORROW IS FOREVER at last ! Will the Steiner title be from the 30s, 40s or 50s? Good-news that Steiner is not over looked, Max composed some fantastic classics over the decades, She, King Kong, Son of Kong are memorable scores. I'm looking forward to his work.